A few days after a brief appearance in Arizona, SpaceX’s next Falcon Heavy side booster has been spotted vertical at the company’s McGregor, Texas first stage test stand, likely just days away from the rocket’s first static-fire ignition test. 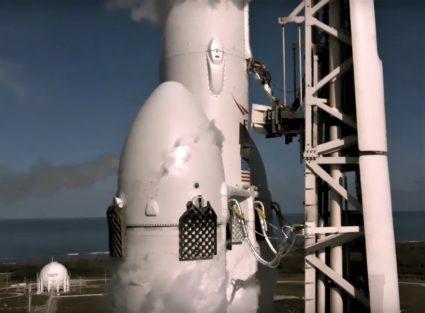 By all appearances a newly manufactured booster, this hardware is the first public evidence of serious preparations for the second flight of SpaceX’s Falcon Heavy. Look who was waving at passing planes over McGregor today! 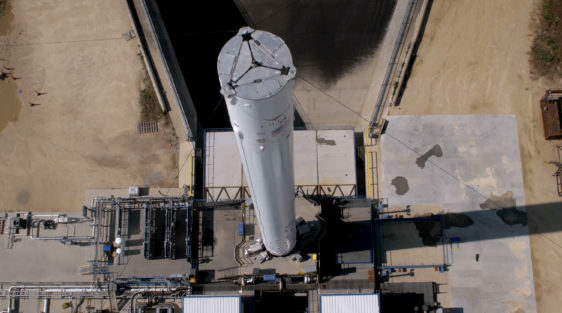 Taking as little as a week to go from SpaceX’s Hawthorne factory to its McGregor first stage test stand, this Falcon Heavy side booster appears to be a new rocket, barring the possibility that it’s an older flight-proven booster that has since been modified extensively with Block 5 hardware and had all visible soot cleaned off. 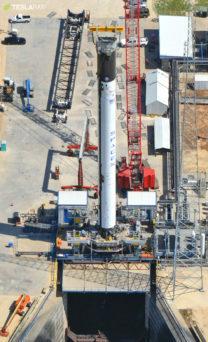 Most notably, if this booster is not effectively identical to any given Falcon 9 Block 5 first stage, widespread changes to avionics, software, and firmware would be required to ensure compatibility between an older variant of Falcon 9 and its Block 5 predecessors. Among countless other changes, Falcon 9 Block 5 features a ~10% thrust increase, an almost clean-slate avionics refresh, and major structural upgrades throughout the booster. With almost a full year now expected between Falcon Heavy’s first and second flights, the chances that the second vehicle wont be entirely composed of Block 5 hardware are slim to none. Anything less than a sort of fixed Falcon Heavy design would undoubtedly make it harder for SpaceX to certify the heavy-lift rocket for both NASA and USAF launches in the eyes of each agency, much like both have struggled to bend their highly inflexible certification requirements to SpaceX’s strategy of continuous hardware and software improvement. Ultimately, the fact that an entire side booster is already preparing for static fire tests in Texas suggests that Falcon Heavy’s second launch is going to come sooner rather than later, implying that the payload will the commercial Arabsat 6A satellite rather than the USAF’s STP-2 rideshare. 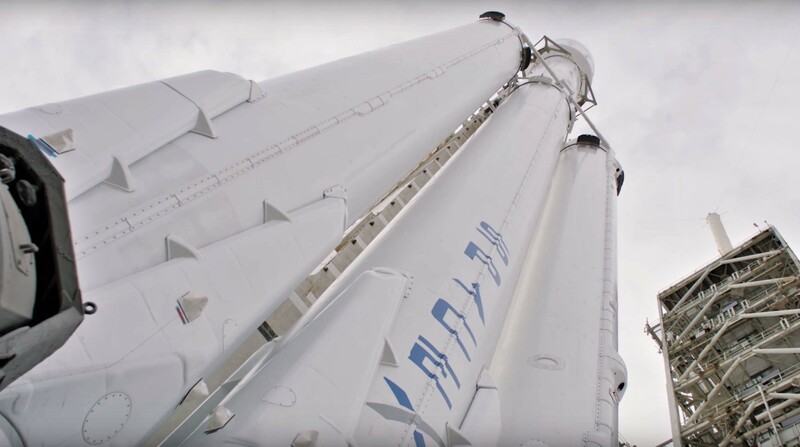 As of June 2018, Arabsat officially stated that the satellite was expected to launch on Falcon Heavy between December and January, a window that has since slipped into no earlier than (NET) late January 2019.